Electric cars help lower emissions and fuel costs, improve fuel economy, and bolster energy security. And considering the volatility of gas prices—and their general skyward trajectory—electric fuel shows promise as an economic alternative. But switching to an electric vehicle entails more than new driving habits and a conversation piece with strangers. It’s also a lifestyle update. 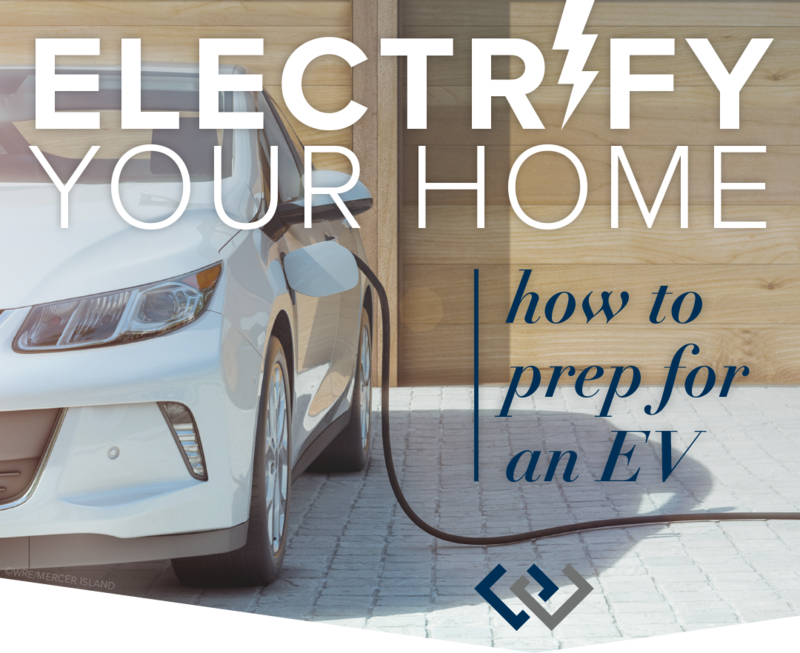 From setting up a charging station in the garage to maintaining optimal temperatures therein, check out these useful garage preparation tips to assure your electric vehicle battery is in tip-top shape. Unfortunately, charging an electric vehicle might be a tad more involved than charging your smartphone. And unless you own a Tesla Model X, which can travel upwards of 300 miles on one charge, your electric plug-in vehicle could benefit greatly from a home station charger. That said, make sure you familiarize yourself with the two main levels of electric vehicle chargers supplied by home-based charging equipment and most public charging stations. A Level 1 cord set charger delivers a standard household current of 110 or 120 volts and comes with most plug-in vehicles upon purchase. It’s outfitted with a three-pronged, household plug at one end that’s connected to a control box by a short cord. A longer 15-to-20-foot cord running from the other side of the box connects directly to the vehicle itself. If time is not of the essence, a Level 1 could be the way to go. But be forewarned: What you get is, more or less, a trickle charge that affords roughly three to five miles per charging hour. For instance, the Nissan Leaf takes around 24 hours to fully charge on a standard 120-volt household outlet. The upside is, Level 1 equipment doesn’t entail an elaborate setup of high-power circuit breakers or dedicated electrical lines, which are required by major appliances and Level 2 chargers. Because cord sets are portable, plug-in vehicles can be charged virtually anywhere there’s a standard outlet, provided it isn’t a household outlet that’s patched into the same circuit as other demanding appliances—in which case the excess amperage could trip a circuit breaker. If time is of the essence, consider installing a Level 2 charger, which delivers 240 volts and replenishes pure electric vehicles in about three hours—which is about seven to eight times faster than Level 1 equipment. Unlike the simplicity of Level 1 setups, though, Level 2 chargers will warrant the services of a professional due to the rigmarole of electrical codes, equipment setup, and necessary inspections. 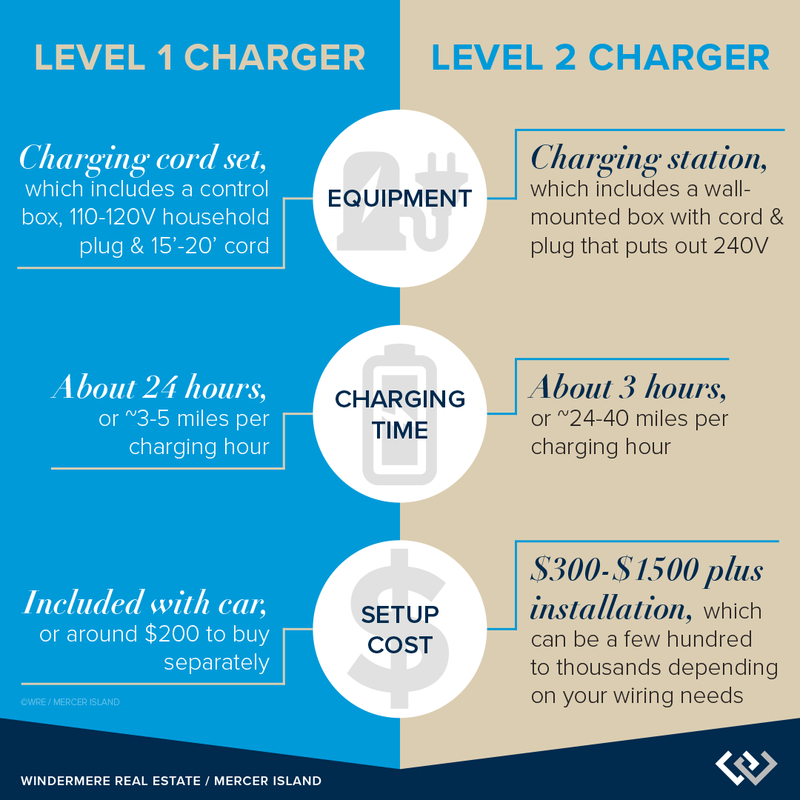 Level 2 chargers cost anywhere between under $300 to over $1500, the price ultimately depending on cord length and amperage. Level 2 outputs typically range between 16 to 30 amps, but professionals often recommend around 30- to 40-amp systems—an adequate overnight charge for most plug-in electric cars. It’s worth mentioning that the “charger” you’re installing is technically referred to as Electric Vehicle Service Equipment (EVSE). This is the wall-mounted box with cord and plug that delivers electricity and functions as a communication and safety unit for the actual charger situated inside the vehicle itself. The EVSE ensures the battery doesn’t overheat and shuts the charging session down if there’s a short circuit, power surge, or any other type of faulty hardware. If you’ve opted for a Level 2 ESVE, you’ll likely need to reach out to a professional electrician to wire up equipment and determine where the ESVE should be situated in regards to where your vehicle is parked. Notwithstanding factors like outdated wiring, meters, and breaker panels, updating the garage for your electric ride should actually be pretty straightforward. In rare instances, old wiring may need to be replaced. But by and large, the process is fairly easy and uncomplicated. What’s more, the plug itself isn’t any more difficult to install than a standard dryer outlet. For electric vehicle owners, installing a Level 2 ESVE is definitely the way to go. The installation cost generally hinges on the work involved—such as the amount of wire that needs to be run, whether additional or replacement breaker panels are necessary, and the cost of labor in your area. This could vary between just a few hundred dollars to a couple thousand. However, you may be able to snag special rates from your utility company for installing an EVSE, so make sure you inquire. Even in the Seattle area, temps regularly drop below freezing in the winter. Recent studies suggest that charging time increases significantly as the weather goes down. If your garage is currently unheated and you want to keep charging time to a minimum, consider these tips from Family Handyman on the best ways to add a heating system. © Copyright 2019, Windermere Real Estate/Mercer Island. Text originally posted on Windermere.com.